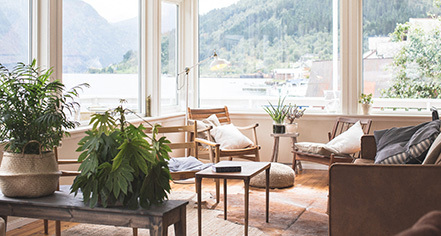 The Fjærland Fjordstove Hotel & Restaurant offers a wealth of activities for guests to experience. Guests have access to a private beach, where they may fish directly into the neighboring waters from the hotel’s terrace. The staff are also more than happy to arrange for excursions out into the countryside, regardless of whether it involves hiking, skiing, or something else entirely. Rentals for bicycles and kayaks are available onsite, too. 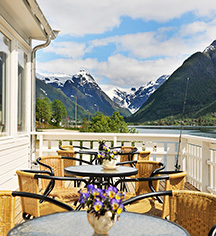 Afterward, guests can relax inside the hotel’s delightful restaurant for some warm Norwegian cuisine. And its cozy library is open to guests a well, where they can relax with a nice book in the backdrop of the stunning Sognefjord.